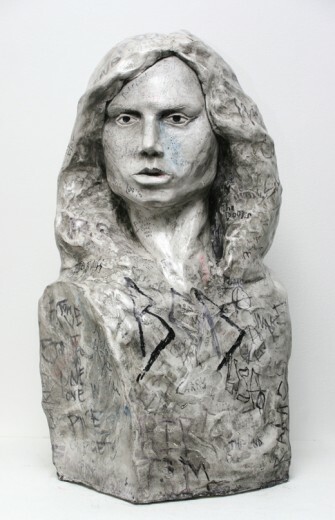 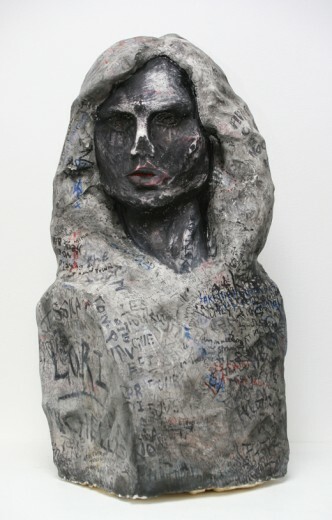 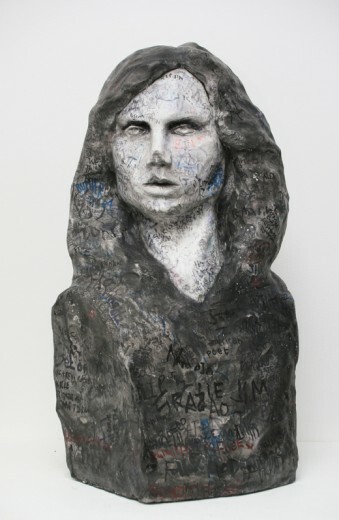 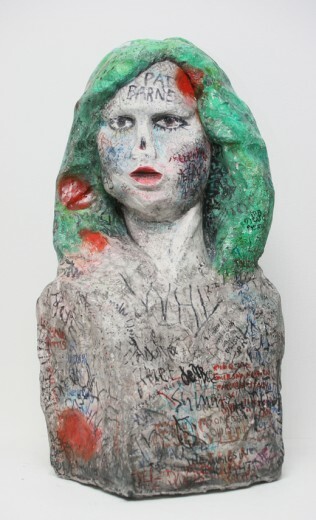 Dolphin produced a series of six works based on the bust produced by a fan, left on Jim Morrison’s grave at Père Lachaise Cemetery in Paris. 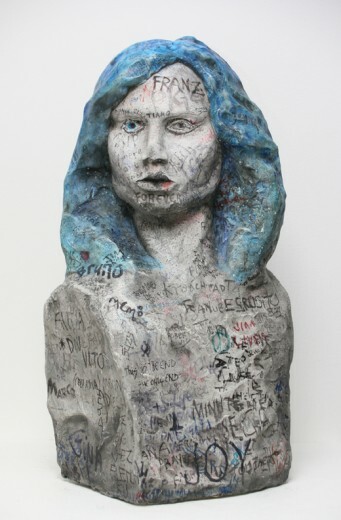 The works describe the progressive deterioration of the work each year, as the object was damaged by fan graffiti, which covered not only Morrison’s monument but also adjacent tombs. 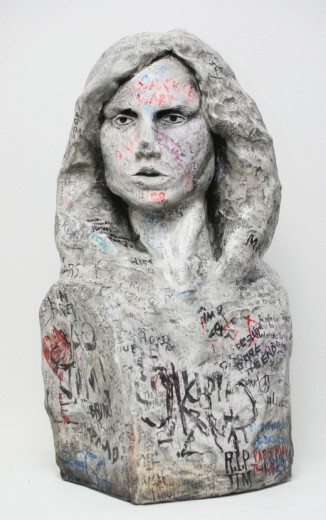 The bust itself gradually became considered part of the site, as people chipped parts of it off to keep and ultimately the item was stolen by 1987.